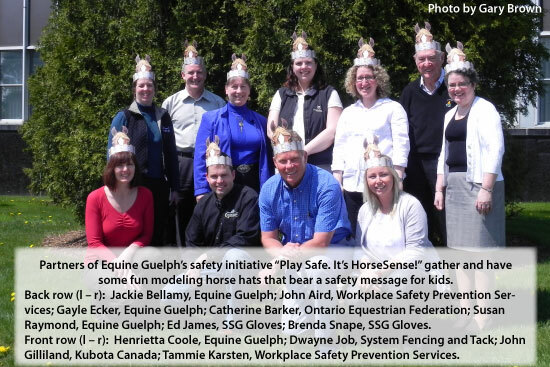 • Workplace Safety Prevention Services (formerly Farm Safety Association), • Kubota Canada, • System Fencing and Tack, • Ontario Equestrian Federation. Featured at events like the Royal Agricultural Winter Fair, Can-Am All Breeds Equine Emporium and Canada’s Outdoor Equine Expo, the EquiMania! safety initiative teaches kids how to stay safe around horses and on the farm – in the barn, outside and around tractors and other farm equipment. 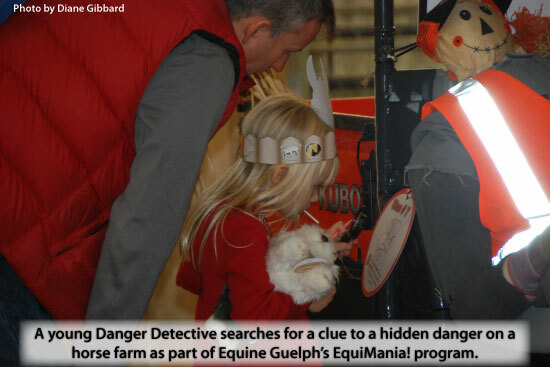 The fun, interactive scavenger hunt engages kids to be Danger Detectives – investigating a mock horse farm for hidden dangers and hazards. They search for clues with magnifying glasses, and once they have found all of the clues and solved the ‘case’, they earn an official Danger Detective badge. The primary goal of this safety initiative is to reduce the number of tractor- and horse-related accidents amongst youth on horse farms in Ontario. Between 1990 and 2005, 63% of animal-related injuries among youth in Ontario occurred in incidents involving horses. For children aged sixteen and under, machine runovers were the predominant cause of fatal injuries at 46%. Between horses, moving equipment and children, a horse farm can be a very dangerous place.